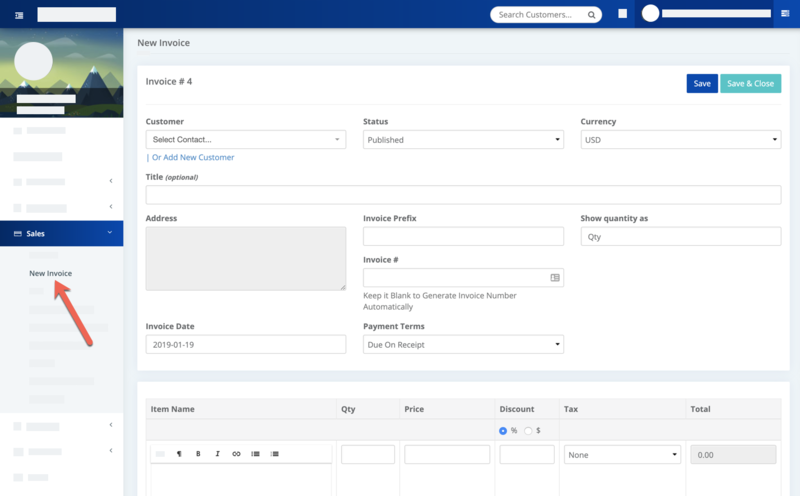 Creating an invoice is one of the most common things you do in Business, and Business suite makes creating and sending invoices easy. Click on Sales from the main menu and select New Invoice. You can choose custom Invoice number, Invoice Prefix for each invoices. Add invoice terms which will be shown in invoice preview, pdf etc.